Our small pole tents are perfect for many occasions: picnics, graduations, showers, family reunions, anniversaries and birthdays to name a few. 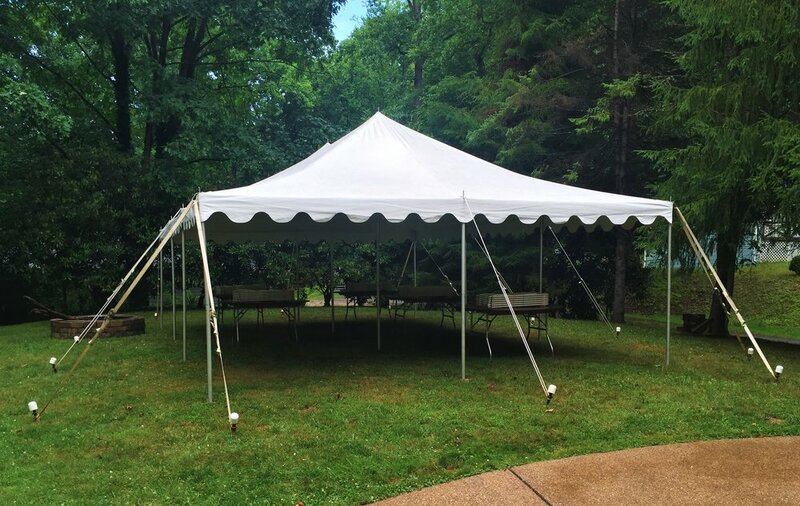 These tents can accommodate seating for 24 - 96 guests. 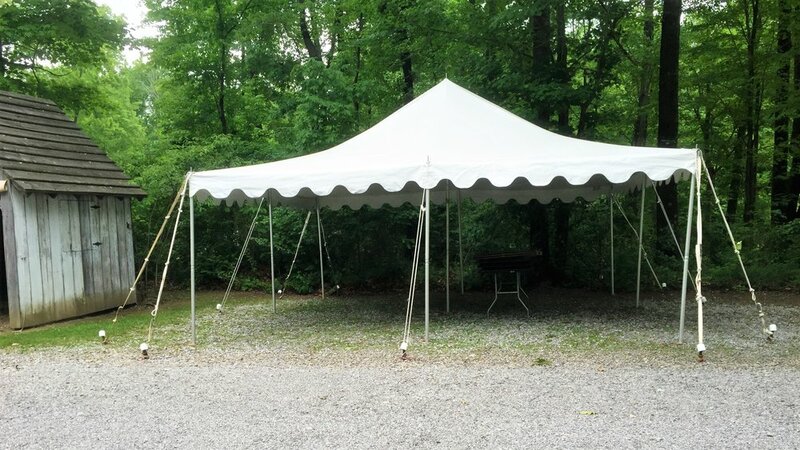 These tents are secured with staking around the perimeter and are ideal for grassy locations.